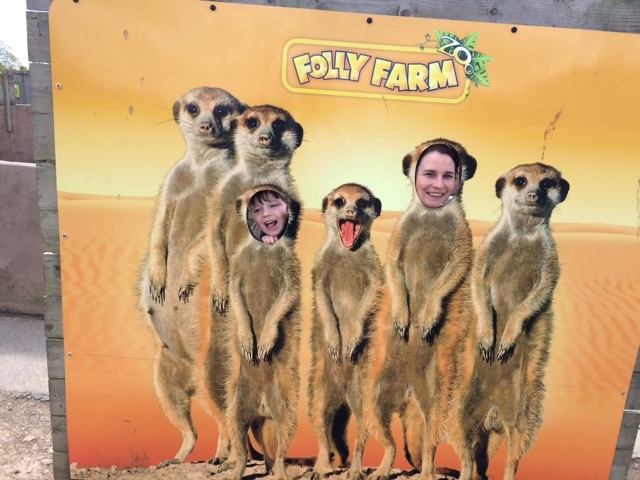 During our trip to Pembrokeshire, we spent a fantastic day at Folly farm adventure park and zoo. We picked a day which was least likely to rain and headed the 10 miles or so from Bluestone. Lucky for us, the rain held off and we had a wonderful day! 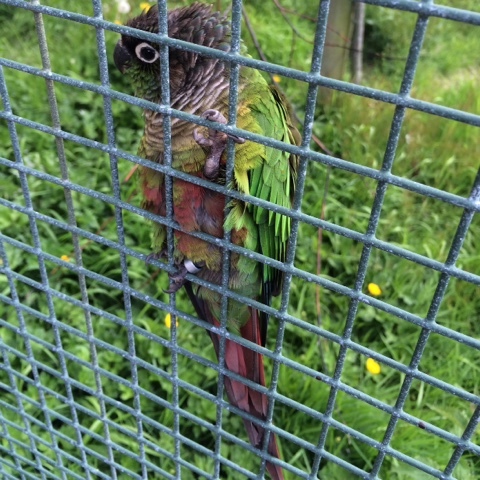 The first thing that greeted us on the park were the parrots and folly interactive, which is a great hands-on learning experience for children. Aimed more at school parties there are various activities set up throughout the exhibit, including stamps which children can stamp onto a special card to prove they'd been to each activity station. 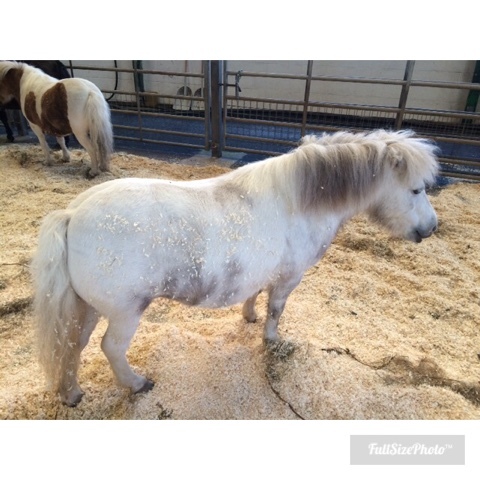 After looking at the parrots and owls, we headed over to the Jolly Barn where we found a great indoor play area, chicks and lots of farm animals, including a rather fluctuant shire horse, which T thought was hilarious! 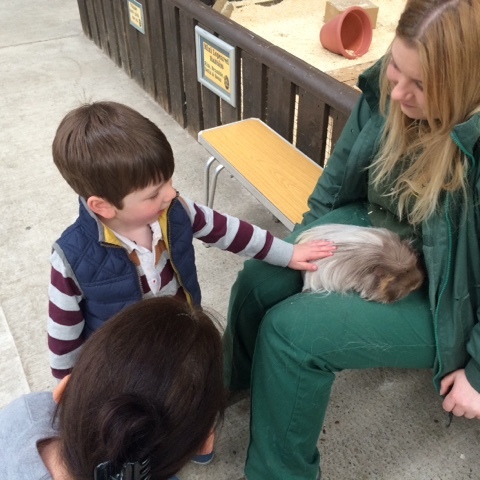 In the corner of the Jolly Barn, was a charming little area adptly called 'cwtch corner' so we went to stroke the guinnea pigs and rabbits. From there we headed over to the vintage funfair, wow, the most amount of vintage fairground rides I've ever seen! T loved the funfair but you had to pay a token for each ride, each token was 50p and were easily obtained from within the barn. T went on about 6 rides, including the ghost train (his favourite) with The Hubs. We visited the Grilled Burger Co for lunch, which was reasonably priced and adequate. 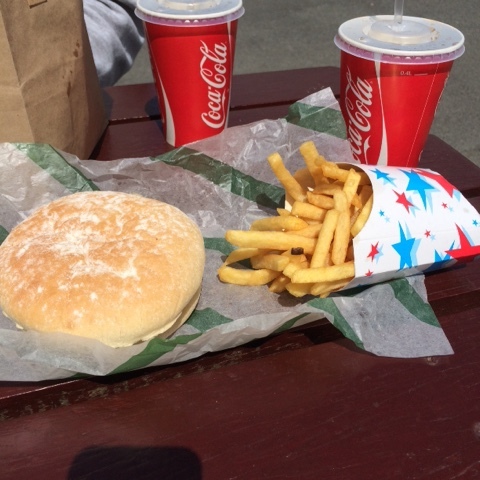 Both the boys enjoyed theirs but my veggie burger wasn't brilliant, but that's not unusual ;) personally, I wish we'd have lunched in the Funfair restaurant. After lunch, we visited the 'zoo' area. I must admit when it comes to zoo's The Hubs and I have totally different experiences, he's been to some of the worlds biggest zoo's in the USA and Hong Kong and I've been lucky enough to spent time in Kenya seeing the animals in the wild, we always try to see the animals through T's eyes though and try not to compare or change his perceptions. Anyway I digress, it's not really very relevant, but what I'm trying to say is that sometimes we feel a little disappointed with zoo's in this country. 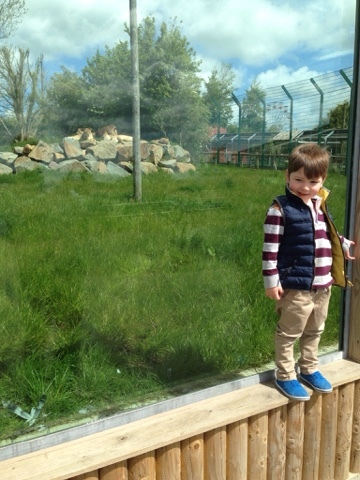 The lions had a fabulous big enclosure which has a big glass viewing area, absolutely perfect to allow little ones to see, the sun was out and the lions were sitting out on top of the rocks so we got a good look (although you can barely see them in this photo!) with lots of lush greenery and trees for shelter it was an excellent exhibit and T's first time seeing lions. The giraffes viewing was just amazing, there's a viewing platform called 'giraffe heights walkway' which allows you to get eye to eye with them, it really is wonderful and something neither of us had seen in this country before, the zebras were in the same enclosure as the giraffes and had a wonderful big field to also go out in. We found a lovely sunny area just outside the giffafe house and had a drink and spent a good 30 minutes just watching the giraffes and zebras. 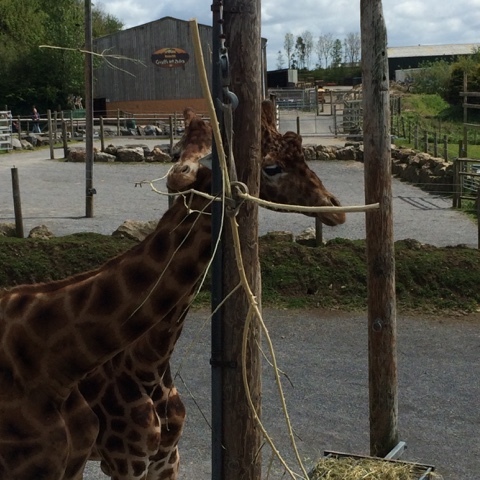 Giraffes are The Hubs favourite animal and he could have sat there all afternoon filming and watching them, but T got a little restless. 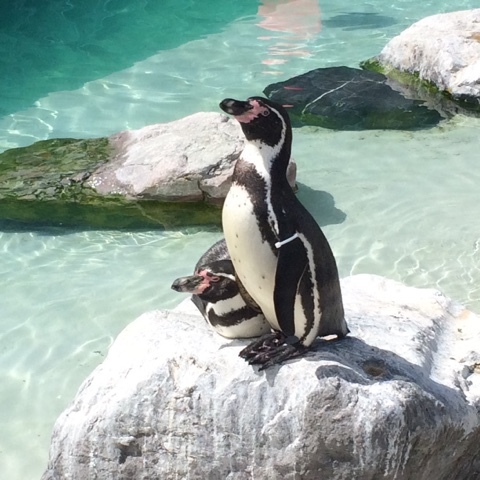 We spent quite a long time by the penguin area, which was lovely, it was very clean and didn't smell too bad, we were fortunate enough to watch a baby penguin being fed too, which was great to see. 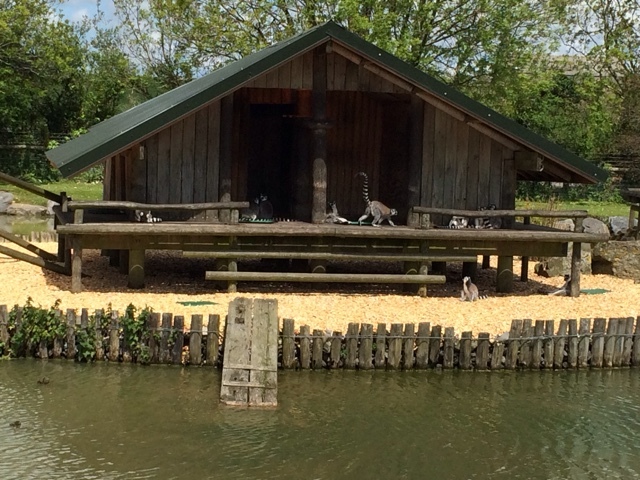 The lemurs had a fantastic house on an little island, I've got a bit of a soft spot for lemurs and really enjoyed watching them running around their island, there were loads of them so always something going on to entertain! 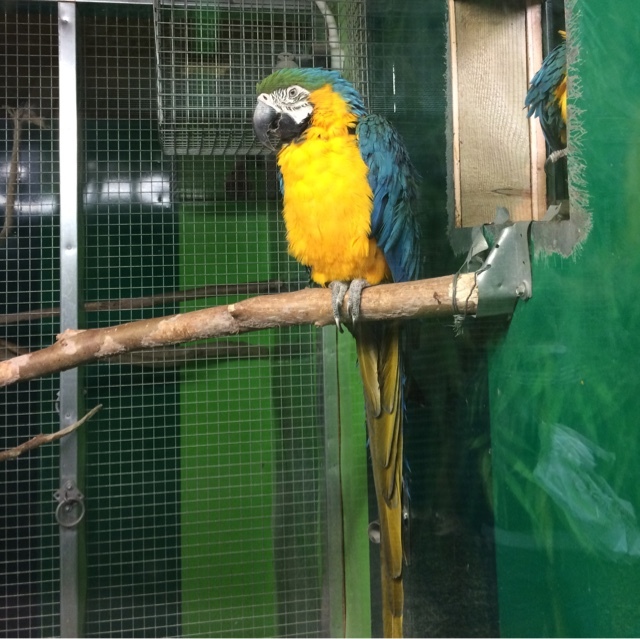 There are lots more animals in the zoo, including flamingos, tapirs, camels and fossa, all in lovely clean enclosures which looked natural and stimulating, the information boards were very good and provided good detail of each animal. 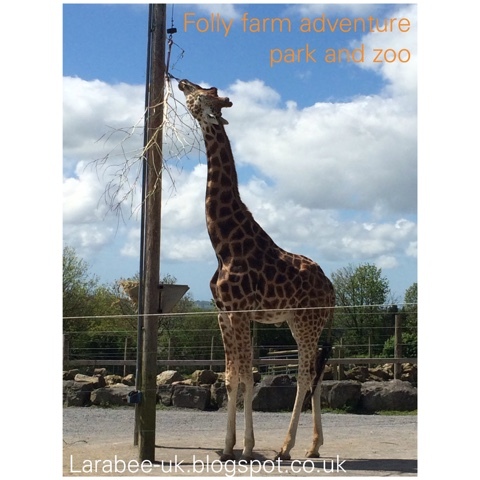 After we had finished going round the zoo area, we went to the outdoor adventure play area and spent quite a while out there too. Finally we visited the the carousel woods, yes, T had both The Hubs and I running round this big play area! We had drinks from the carousel cafe, which again were reasonably priced. I can certainly see why they offer half priced re-entry within 7 days, there's so much to do here and it's as though you are visiting lots of different places. 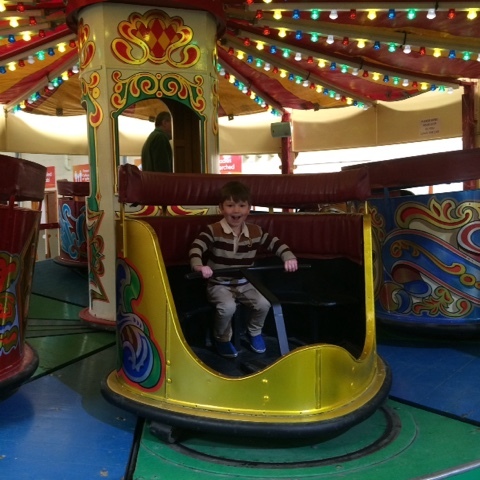 • Funfair, discovery farmyard and carousel woods all under cover so good if it rains or visiting in the winter. • You have to pay for everything in the funfair at 50p token a ride that could work out expensive if you have more than one child. 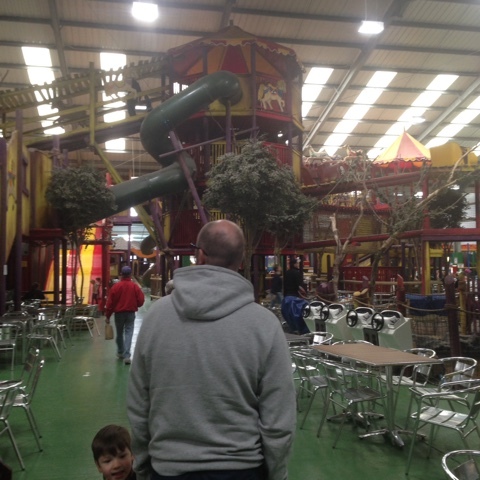 • The fantastic play areas and funfair distracted T from the animals a bit, all he wanted to do was whizz round so he could go and play and it seemed that lots of other children were doing the same. A great day out, we spent all day there, arriving just after they opened and still didn't get to visit everything! Highly recommend for a great day out, if you are visiting the area during the school holidays, it's definitly worth a visit. Disclaimer: we were given free entry in exchange for an honest review. 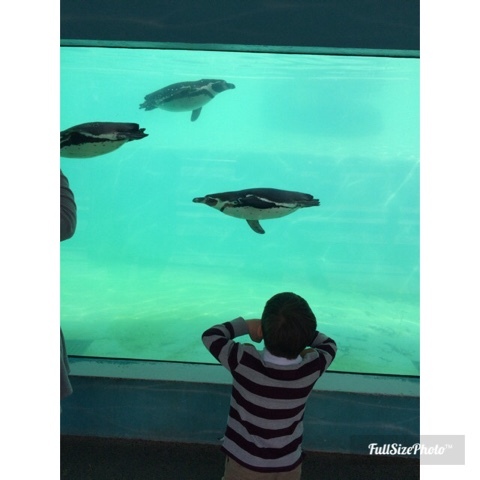 I love the look of Folly Farm, it looks such a fun day out with something for everyone. My kids would have been drawn to the fun fair too, that really was an added bonus even if it did distract them from the animals. Certainly a zoo with a difference. Thank you for sharing your experience on Country Kids. 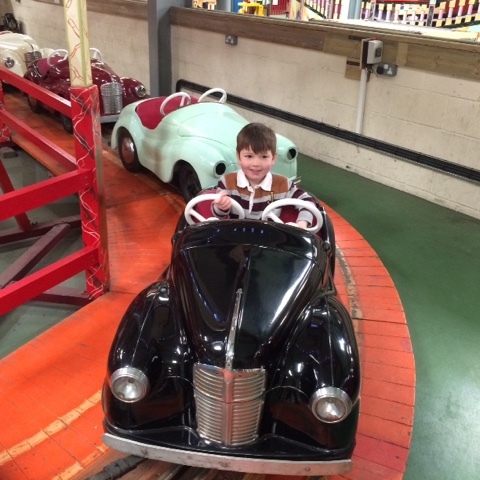 Yes, I have been to a few places where there are fun rides as well as the 'main' attraction and it does make it more of a battle to pull the kids away doesn't it. It does look like a great day out though and I'm glad you enjoyed yourselves.